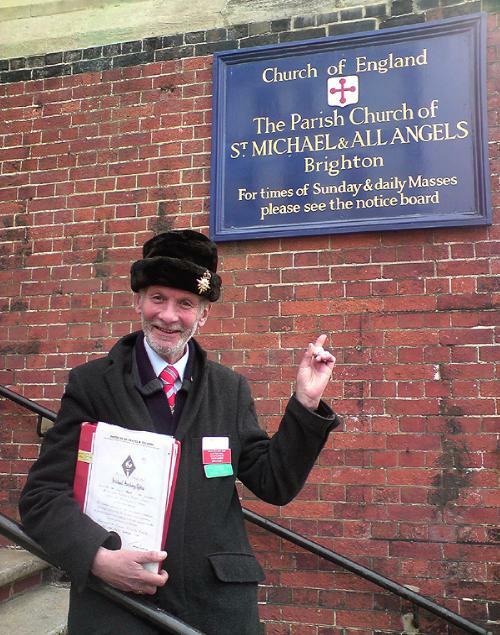 I first met Mike Robins, one of Brighton & Hove’s most colourful and well-known characters, at St. Andrew’s Church on Waterloo Street where he worked tirelessly as Custodian to transform the forgotten treasure. However, I didn’t realise that he was a tour guide too until I bumped into him working one day, having spotted his trademark Russian hat from afar. Ever since, I’ve been keen to put my knowledge to the test by going on one of the tours myself. When Mike offered me a preview of one of his Brighton Fringe Festival specials, I nearly bit his hat off. 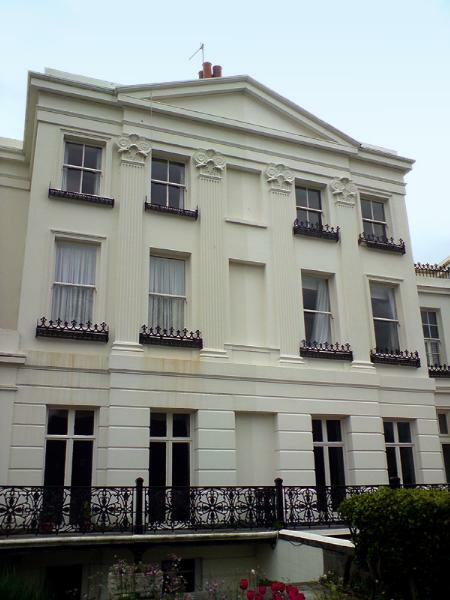 Some of Brighton’s best bits may be found in the Montpelier & Clifton Hill Conservation Area such as St. Michael’s Church, Clifton Terrace and Powis Square along with Montpelier Villas, Crescent and Terrace. But, due to much of it being situated between Dyke Road, Western Road and Montpelier Road, many architectural gems are missed by most people. Mike adds a whole new dimension to this area and its surroundings with his well-woven story filled with facts, energy, humour and mystery. So, did I learn anything new (other than the fact that walking around hilly Brighton for an hour and a bit can be quite a tiring experience!)? Yes, but I’m not going to say what – I’ve given away lots already. The tours will be running until 31st May so be sure to book yourself a place soon by calling Mike on 01273 773052. If you don’t get to meet Mike on a tour, he’s easy to spot around town – there’s the hat, of course, but also the massive picture of him on the side of a bus!